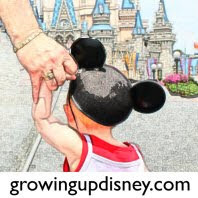 Growing Up Disney: Disneyland Paris Planning with Nine: Part 4 What to Eat? Disneyland Paris Planning with Nine: Part 4 What to Eat? Nine is still busy planning her family's first visit to Disneyland Paris. Today she tackles a favorite Disney topic--dining. I am currently researching into one of my favourite topics, eating. And even better, eating at Disney, Disneyland Paris to be precise. Now if I were planning a trip to WDW then I would not need to do too much research. I may send a few tweets asking what new places are around and if anywhere has had a menu overhaul but in general, I know my way around the restaurants over there and I know spefically which places are veggie friendly. You see, that's the hard part, yes, I am one of 'those' (see here for my previous article on being veggie in WDW). If I ever thought I had problems finding non-meat or fish options in the land famous for surf 'n' turf, then France should be a piece of cake right (mmm, cake, maybe I could just eat cake while I'm over there ...). However, I digress. My family and I holiday in France every year and each time I come home full of cheese and maybe if I'm lucky some pizza and pasta. They do not really cater for the veggie palate. But I have been busily consulting the official website, The Unofficial Guide to DLP and of course asking the experts on Twitter and The Dibb. So, what have I come up with so far? The Agrabah Cafe, situated in Adventureland in the Disneyland Park. Moderately priced and offers a middle eastern inspired buffet. Colonel Hathis Pizza Outpost in Adventureland has a wide range of pizza and pasta. The Rainforest Cafe in has a veggie burger (and we've never eaten in the one on DTD or AK yet). There is also a Planet Hollywood in the same location, the one in DTD does a lovely pasta dish so it's possible this one will too. We also really like this restaurant and while others find it loud and expensive, we've always had a really good time and lovely food. The Earl of Sandwich in The Disney Village and The Market House Deli on Main Street, USA both serve deli snadwiches. Pizzeria Belle Notte in Fantasyland has a wide range of pizza and pastas. And remember what I said about living on cake? If it comes to it I'll just feast upon the goods from The Cable Car Bake Shop on Main Street, USA. This bakery will have to go a long way to beat the actual Main Street Bakery in WDW and my favouriate of all baked goods, the GIANT cinnamon rolls that you can smell almost as soon as you enter The Magic Kingdom. But if needs be I'll be willing to try several of the French contenders, just to see and report back to you guys of course! As an aside, I have been trying to get quote this week for our stay next July. It is 99% certain we will be staying for 3 days, 2 nights within the first week of July 2012. However, the Disney site has been down so I have not been able to do this as yet. The in-laws are coming to spend the day with us soon so I will be trying to phone DLP direct whilst we are all together (and DFIL has his credit card ready lol). I will update you all when it is finally booked, hooray!